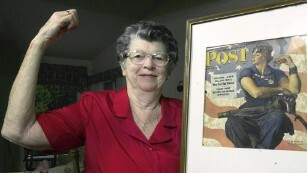 Mary Doyle Keefe, model for Norman Rockwell’s “Rosie the Riveter” poster was a symbol of power for American women on the homefront during World War II. Last Tuesday, Keefe passed away in her home in Connecticut at the age of 92. Her daughter told the press she suffered from a brief illness before her death. Keefe met Rockwell in her hometown of Arlington, Vermont. At age 19, Keefe worked as a telephone operator. Rockwell paid her 10 dollars to sit and model for the painting for two sessions. The image was featured on the cover of the Saturday Evening Post on May 29, 1943. Keefe was petite as a teenager, so Rosie’s burly figure is mostly the product of Rockwell’s artistic embellishment. Keefe received a letter from Rockwell twenty-four years after she modeled, telling her she was the most beautiful woman he had ever seen and apologizing for the burly body in the painting. The painting was used in the 1940s as propaganda to sell war bonds. Today, the painting is on display at the Crystal Bridges Museum of American Art in Bentonville, Arkansas. According to an obituary, Keefe graduated from Temple University with a degree in dental hygiene, worked as a hygienist in Vermont where she lived with her husband of 55 years, Robert Keefe. The two had four children together. Keefe spent the last eight years of her life in a retirement community in Connecticut. 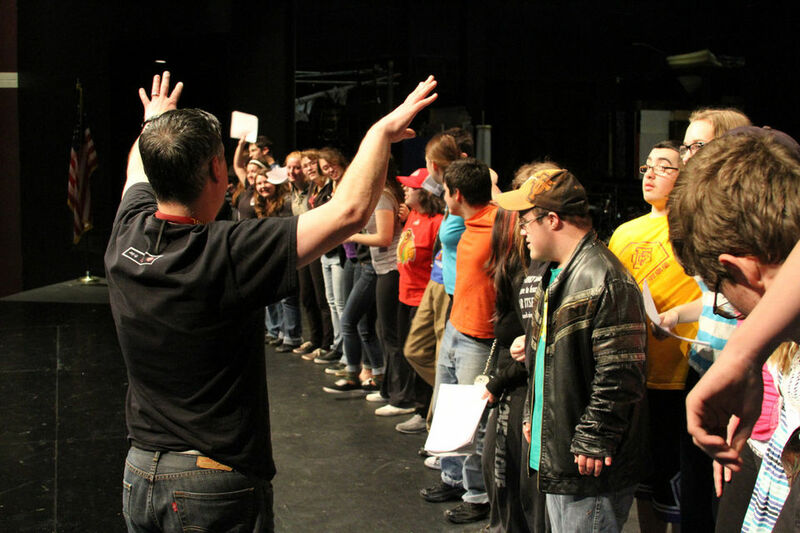 This week, 45 student actors and technicians from Forest Grove High School will present a play to combat cyber bullying through Project UNIFY Productions. Project UNIFY is a movement stemming from Special Olympics of Oregon (SOOR) that works to create an inclusive environment for students with and without intellectual or physical disabilities throughout Oregon schools. The inspiration for the play is Megan Meier, a teen from Missouri who committed suicide three weeks before her 14th birthday. Her tragic death was attributed to severe cyber bullying from her classmates. Educational assistant director of the Project UNIFY Productions program, John Anderberg, surveyed English classes at Forest Grove, asking students to share their experiences with cyber bullying. Anderberg developed a script for the play based on topic discussions from the students. A total of 45 students asked to be a part of the production. Anderberg split the students into teams. Each team was given a task relating to the play’s production and performance, and each individual was given a personal assignment. “This way, with 45 students, each gets more individual one-on-one time,” said Anderberg. Performances take place April 23 and April 24 at 7:30 p.m. in Forest Grove’s Ellen Stephens Auditorium. Admission is free, but audience members are encourage to donate money or canned food to the school’s backpack program to support homeless and low-income students. 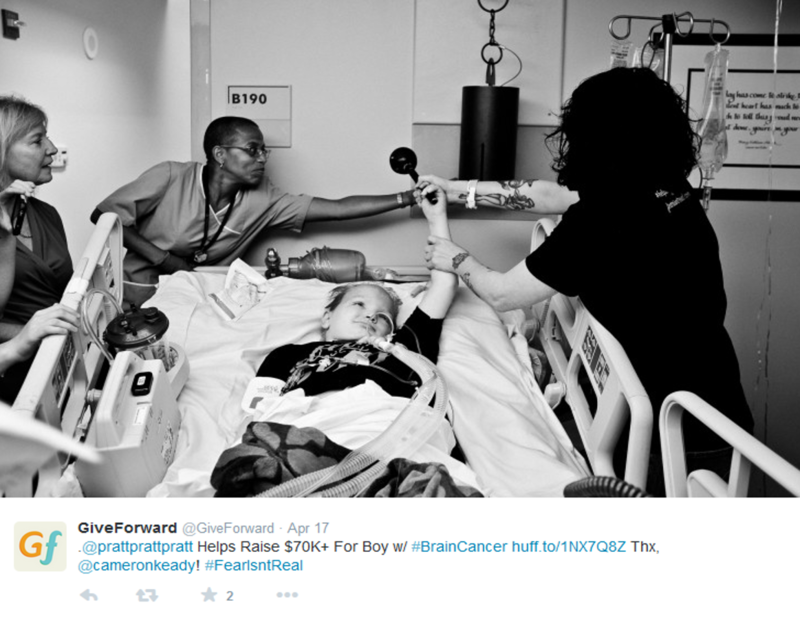 Chris Pratt is already known for being a superhero to kids in need, as shown by his #TwitterBowl bet with Chris Evans. Twelve year old Joe Henson’s family recently announced that with Pratt’s help, they have raised over $92,000 for Joe’s fight against brain cancer. In June of last year, Joe was diagnosed with medulloblastoma, a type of brain tumor, three years after his father died in a car crash. Joe has since undergone brain surgery, but lost his voice following a tracheotomy. After his surgery, Joe still returns to John Hopkins Hospital in Baltimore once a month for chemotherapy. Some friends of Angela, Jay and Melanie Selway, launched a GiveForward campaign called “Fear Isn’t Real: Helping Joe Henson” in order to help fund Joe’s treatment. Since Jay grew up with Chris Pratt’s wife, Anna Faris, he contacted their family to ask Pratt to promote the campaign via social media. Just before the release of “Guardians of the Galaxy” in July of last year, Pratt sent out a tweet that read: “To promote something more important,” with the link of Joe’s GiveForward page. Joe’s family designed “Fear Isn’t Real” t-shirts to sell as a fundraiser. Pratt encouraged followers to respond with photos of the t-shirts and the tag #FearIsntReal. As of last week, the campaign has raised nearly $92,000 and sold 3,200 shirts. Although the campaign has been successful, Joe’s recovery is still a struggle. Angela remains hopeful, but her primary goal is to secure care for her son. “He has lost the ability to do things that we all take for granted: talking, swallowing, breathing on his own, holding up his head, sitting up, even moving the left side of his face. Joe came to Johns Hopkins with the ability to do everything that we can all do and the surgery has taken all of that away from him,” she explained. Beaverton-based Nike recently signed former University of Oregon quarterback Marcus Mariota and Florida State quarterback Jameis Winston to represent the face of the company. In the past eight months, Nike has terminated the contracts of four different athletes. Signing Mariota is viewed as a smart move on the company’s part. 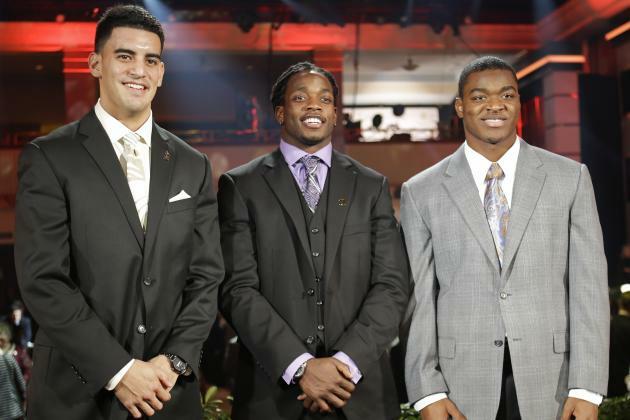 Last year, Mariota won the Heisman Trophy for his excellence on and off the football field. His touching acceptance speech gained him widespread popularity. Both Mariota and Winston are expected to be top picks for the NFL draft on April 30. P.B. 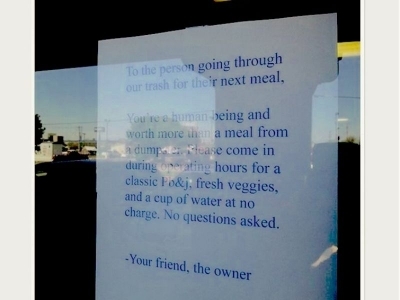 Jams sandwich shop owner Ashley Jiron, 30, received national fame via Instagram for a note she left on her restaurant window inviting a local dumpster diver inside for a complimentary lunch. Jiron went outside and noticed that the restaurant’s dumpsters had been scavenged. For Jiron, the sight of someone’s disparity was personal. Nobody has yet come into the shop to request the lunch offer. Jiron plans to leave the sign up until they do. In Oregon, the count of homeless men, women, and children in Multnomah County alone is near 4,000 individuals. The number of people sleeping outdoors, in shelters, in cars, or other temporary housing is estimated to be four times the official count. There are many ways to help those experiencing poverty. The Oregon Food Bank and Portland Rescue Mission are among the top Oregon organizations fighting homelessness.